Product photography is simple yet creative thing to do. Not every product photographer can create masterpieces. 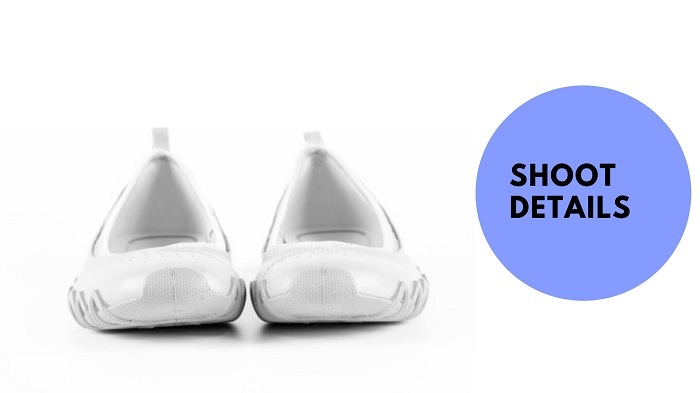 Shoe is a product which should be perfectly is displayed in the eCommerce websites or any other printing media. When you are talking about different photography types, shoe photography also comes under this category. If you are a beginner, you may find some difficulties while shooting for shoe photography for the first time. Here I present you 10 easy tips for shoe photography below. Before going for shoe photography, the first thing you should do is to plan and research about good shoe photography. 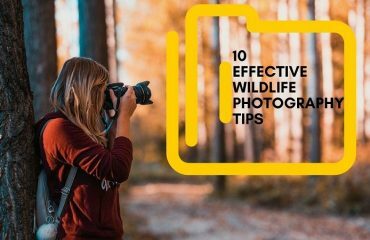 Do not go for shooting photos without planning. Or else, everything will be messed up. You need to research what do you need while shooting shoes. Set concepts in mind. Know about camera settings, backgrounds, lighting etc. You have to check all the equipment and make them ready before shoe photography. 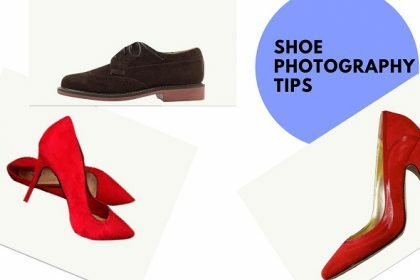 You may know this shoe photography tips very well but still you have to keep that in mind that you have to plan everything before going for the Photo shoot. Planning can be also being beneficial if you sit with your client and get some information and write them down on a notebook. Ask questions like what kind of photos they want? How many pairs they are going to shoot for? What are will be there? Etc. Based on the answers make a plan and shoot accordingly. That will help you to deliver some great shoe photographs. One of the most important elements in every photograph is a background. There is nothing new to say about the importance of the background in a photograph. Well, a background can make the photos look best and even the worst. It is very important to choose a proper background. This is one of the most important shoe photography techniques I would I you to know. Shooting shoes is very difficult. 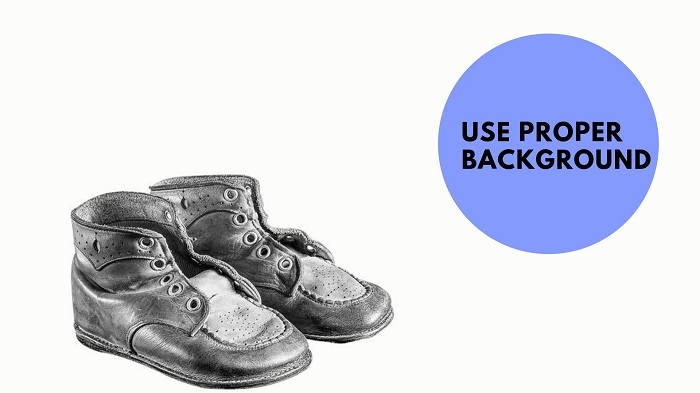 As shoes are delicate, you need to keep everything perfect, especially the background. 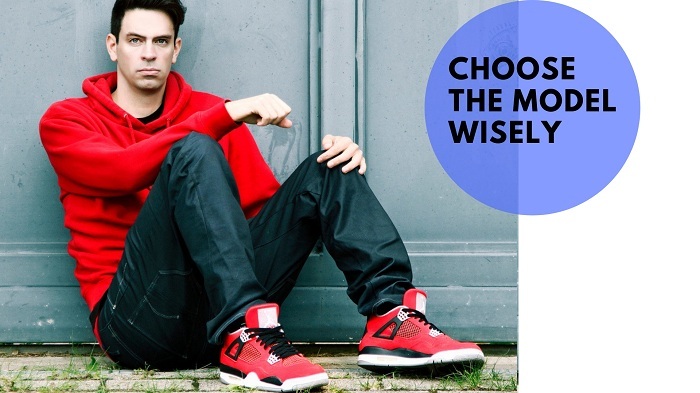 Do not use too noisy or multicolored background while shooting for shoes. The background will overshadow the shoes if you use too loud background. As shoe is a product, in every product photography tips, it is mentioned that you should always use a solid color background. 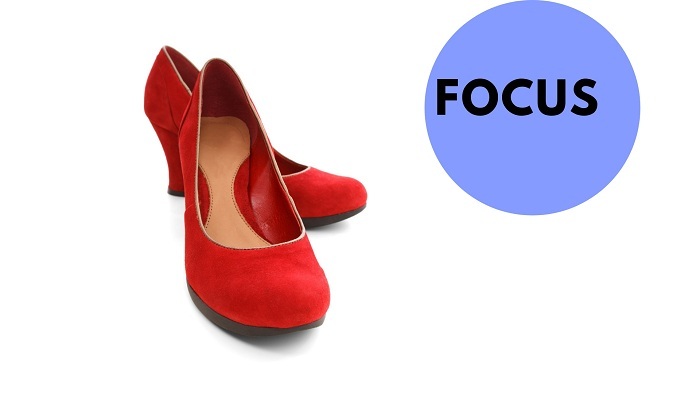 A solid color background will help your shoe to pop out of the photo and outshine. The best background for shooting shoe photograph is a white background. 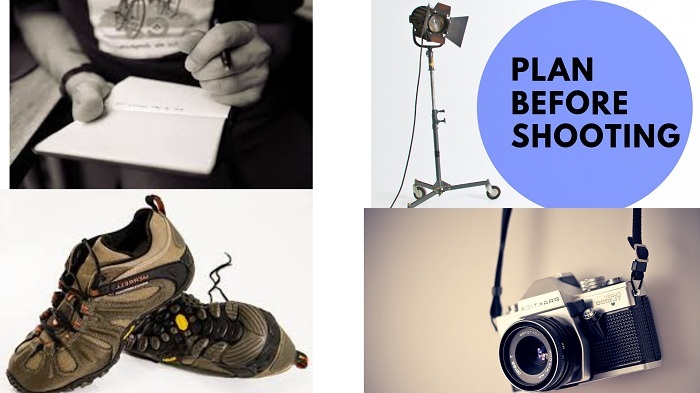 Most of the professional product photographers use white background for shoe photography. When you are displaying shoes to get them sold in the catalog or online shopping sites, one of the common photography mistakes done by photographers is to click the photographs of shoes only from one angle and displaying that. Shoe is something which cannot be understood from one angle only. People or customers would definitely cannot decide if they should buy the product or not by seeing the shoe photo only from one angle. 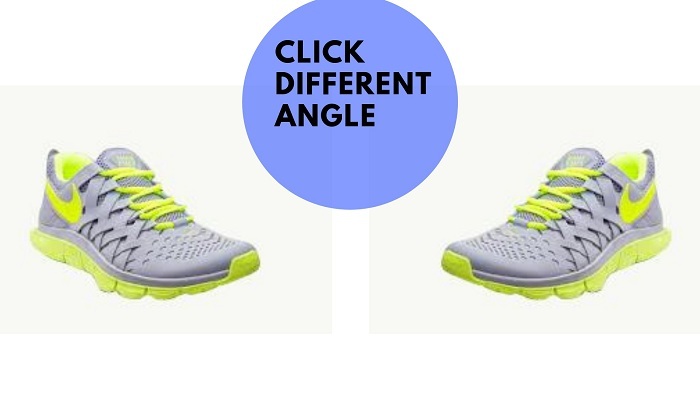 So you need to click the photo of the shoes from every possible angle. Rotate the shoes from every side and keep clicking photos. You should print or publish the shoe photos of every different angle so that the customers can get clear photo and make their choice easily. While shooting the shoe product, one thing is mostly missed out is shooting the details of the shoes. You have to think like a customer that if you want to buy the shoe what you would want to see. The customers like seeing the details so that they can be sure about the product. Details of a product matters a lot. As a photographer, you just should not focus on only some common aspects which every photographer does. So click detaining is very important to show the product nicely. But you have to check if everything in shoe is perfect or not. Check the belts and laces of the shoe, check the shoe if it is clean or not. Make sure it doesn’t have any dirt which could make the photo look bad. Product photography should always be perfect from every aspect. 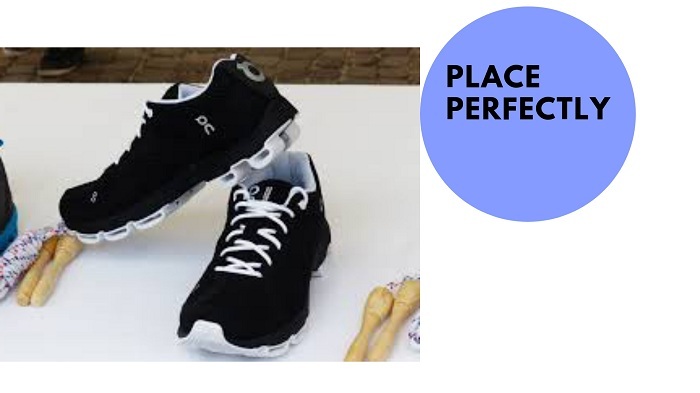 Sometimes a photographer may place the shoe somewhere where the product is looking awkward and the placement is also not going with the photography well. The shoes should be placed perfectly because it is shoes which do not look good placing everywhere. But you have to choose the proper placement of the shoes. While doing the photography indoor, place the shoes on the top of a box or on the solid color floor. Wherever you place the shoes, remember, those should be cleaned fully. But if you shoot outdoor, place the shoes in clean roads, stairs or hills. This will give you some great shoe photographs. As a product photographer, you need to think something creative and out of the box while you are clicking the photos of shoe products. One of the most creative photography tips is adding shadows or reflections to your photos while photography. Shadows and reflection brings a natural look into the photos which make the photos look classy and elegant as well. Not every photography use this shoe photography tips and apply it while shoe photography. But if you want to deliver something unique through your shoe photography, try adding reflections on your photography. You can just place the shoe product a bit on the upper side and keep some water just down the product. That will create a mirror reflection. You can also make the shoe model standing in front of the water. That will also create a reflection. Click the photo when you get perfect reflection. A model brings a professional touch to a photograph. When people see a model or a celebrity using the product, the faith and trust on the product is build among the other people and then they get more interested about purchasing it. Shoes are very difficult to sell. But when you do photography with a good model making them wear the pair of shoes you are shooting for, it becomes a brand. But you have to choose a model very wisely and carefully. You just cannot select any cheap model. Select a model who knows what to do for what kind of product. A model has to make the shoe product hero but not him/her. So select the model taking auditions. In every photograph you have to make the subject hero as we have mentioned in our earlier point. But do you know how to make it happens at the first place? It is your camera; lens and your photography skills by which you can focus the subject will do that. When you are doing shoe photography, you always have to think that you have to focus on shoe. Activate auto focus mode of your camera and use focal length lens which helps you to make the focus on the shoe specifically. 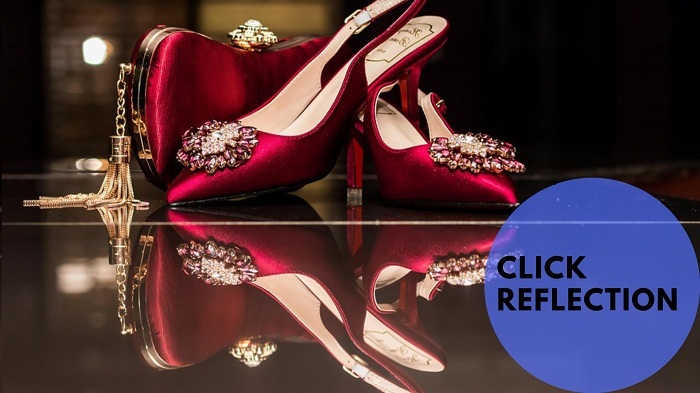 This will make your shoe product stand out and you can get great shoe photographs. There are different ways of making the photos look creative. Shooting the photos of your shoes should be different. While everyone is clicking photos in the same way, you need to think something different. Try different concepts in your shoe photography. This is one of the fun shoe photography hacks. As in the photo you can see that a sports photo is being promoted. 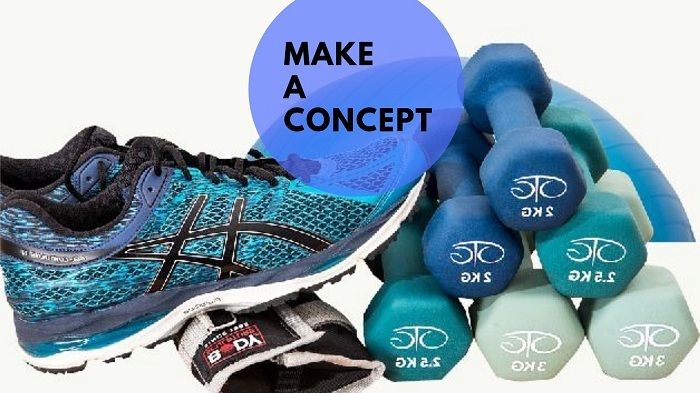 We have used some gym products along with shoe so that the photo itself says about the product. Raw photographs are hardly being used nowadays. People now cannot think about publishing a photo without editing. 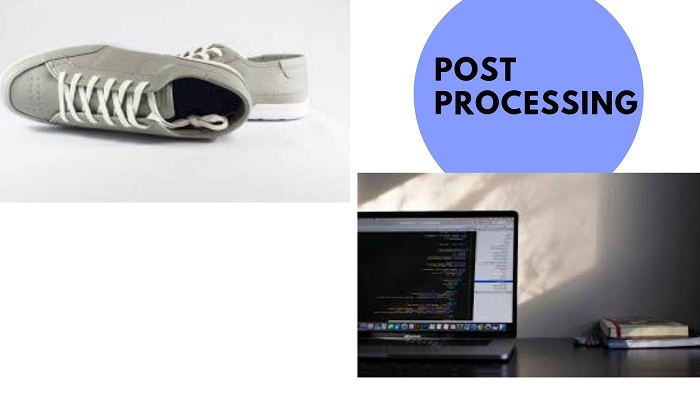 After doing shoe photography, you need post processing or photo editing of the shoe photographs to enhance the beauty of the photo and to fix all the problems a raw photo may have. 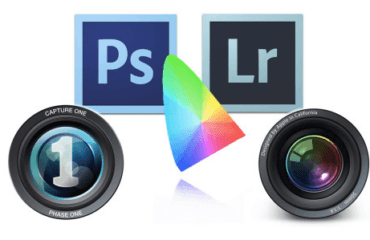 If you know how to edit the photos then that’s amazing or you can also take help from different photo editing companies as well. You can apply different photo editing techniques like background removal, photo retouching, color correction, drop shadow, photo manipulation etc. on the shoe product photos. There are millions of people in the world who want to be a photographer. You can definitely become a good photographer if you have the skills. If you are a beginner as a shoe or product photographer, you need to know some shoe or product photography hacks. 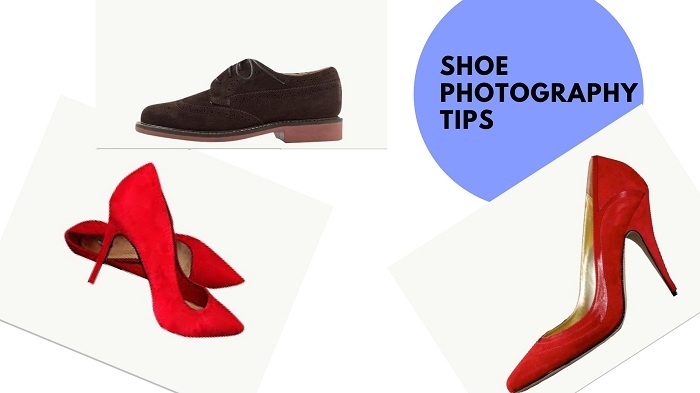 These are the few tips which may help you to do better and professional shoe photography.